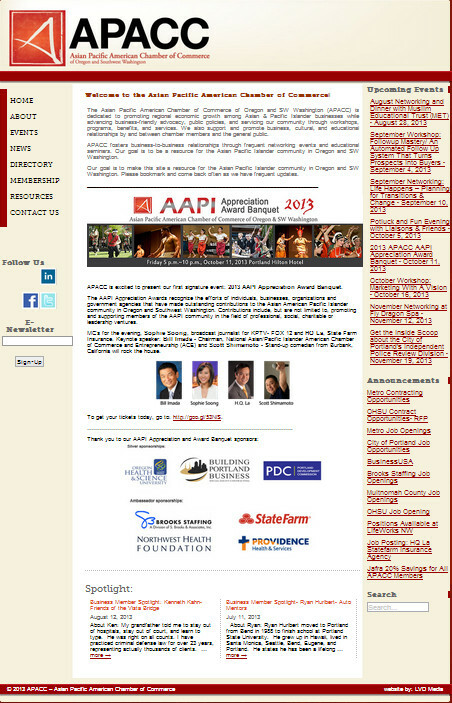 The Asian Pacific American Chamber of Commerce of Oregon and SW Washington (APACC) is dedicated to promoting regional economic growth among Asian & Pacific Islander businesses while advancing business-friendly advocacy, public policies, and servicing our community through workshops, programs, benefits, and services. APACC supports and promotes business, cultural, and educational relationships by and between chamber members and the general public. APACC fosters business-to-business relationships through frequent networking events and educational seminars. Our goal is to be a resource for the Asian Pacific Islander community in Oregon and SW Washington.